Traditionally, winter is the time of the spa. While some market regions have been cool, others sectors are warming up – and technological innovation is playing its part. 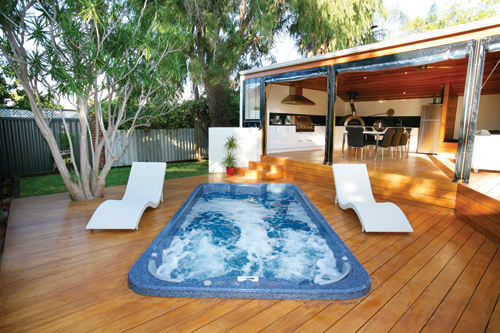 Rob Kruger, manager of Melbourne-based manufacturer Just Spas (part of Spa Industries) says that technological innovation is set to invigorate the spa industry, largely through changes to the way spas are heated. One example is Just Spas’ latest model which uses gas, combined with a new pump and a proprietary “bridge controller” to reduce the energy used and cost per week of running the spa. Kruger says it’s only since the advent of variable speed pumps, that using gas on a spa has been economical. Now, they’ve put a Fasco variable speed pump on their spa to run the filtering and heating efficiently. “When the variable speed pump on the Hybrid spa calls for filtration, it runs 1450rpm to 1500rpm and costs 30c per day to filter for 8 hours. It filters about 48,000L per day. Kruger says that means it will cost about $2 per week for filtering, then $1 each time you want to use it. 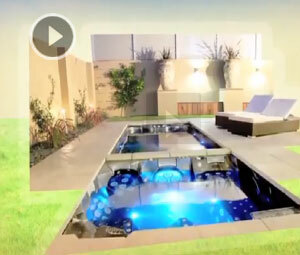 The Hybrid Spa Technology System is available on all spa models from Just Spas. It was on display at the recent Melbourne consumer show. Just Spas sold more than 100 spas at that event, and 20 per cent were the hybrid product. 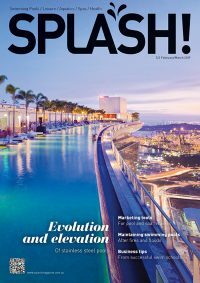 This is an extract from the April-May 2011 printed edition of SPLASH!